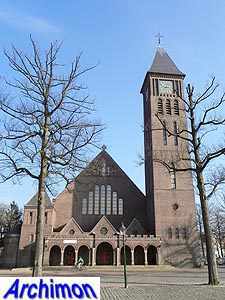 Louis Jacobus Petrus Kooken was born in either Eindhoven or Weert on the 26th of March 1867. Little is known about his youth and education. According to some sources he was responsible for designing and building a factory in Eindhoven which was built in ca. 1880, an unlikely claim considering his age at that time. 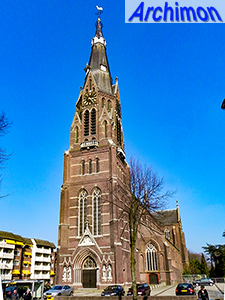 In reality, his first known activity in architecture is in the role of overseer at the construction of the church H. Hart van Jezus in Eindhoven in 1897-1898. In the latter year he founded his own office. 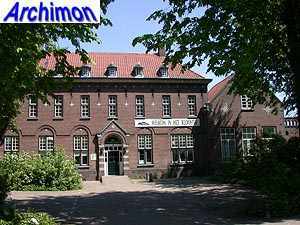 He was town architect of Eindhoven for several decades and was responsible for a number of housing projects in and around the city. In 1918 he and J.Th.J. Cuypers were put in charge of the massive expansion of the city. Although a catholic, Kooken's religious work represents only a small part of his career. His first known religious work dates from 1911, more than a decade after he started his architectural career. 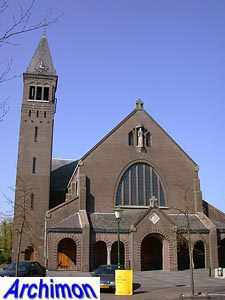 Several of his churches are in a modern neo-Romanesque style and were in a few cases designed in conjunction with F.J. Wolters. In 1921 Kooken hired draughtsman C.H. de Bever, who became his son-in-law eight years later and his associate four years after that, when Kooken retired. The following is a list of Kooken's religious work only. Small one-aisled church in neo-Romanesque style. Neo-Gothic tower, replacing the collapsed original tower of H.J. 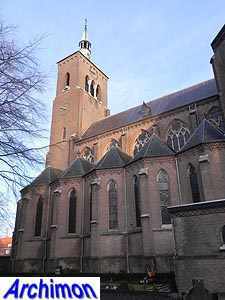 van Tulder’s church. Chapel in neo-Romanesque style, with short tower. Designed in conjunction with architect F.J. Wolters. Tower added in 1929-1930. Three-aisled cruciform basilica in a neo-Romanesque style. Three-aisled cruciform basilica in a neo-Romanesque style. Designed in conjunction with architect F.J. Wolters. Addition of side-aisles to an older church. With C.H. 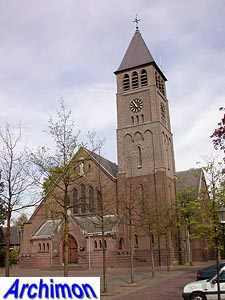 de Bever, who added a tower several years later.